Last week there were some epic occurrences. 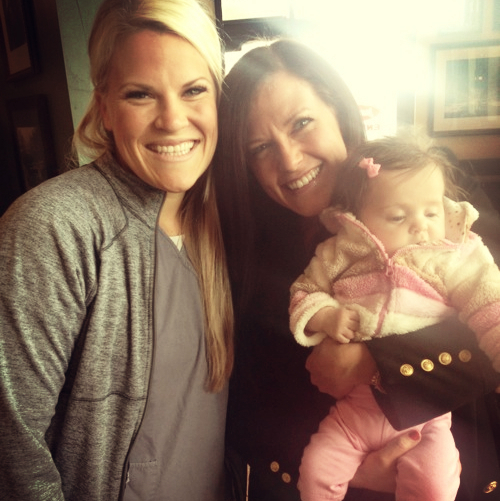 Of the most important...I FINALLY got to meet Janae's (AKA the hungry runner girl) sweet lil' baby girl! OH MY GOSH!! We went to Jason's Deli for lunch, like we have done so many times...and I just wanted to eat this sweet little darling right up! Janae and I actually grew up in the same neighborhood, but we realized we were soul mates during our college years when she would literally kick my trash in her amazing spin class. I miss those days! She is one of the speediest marathoner's I know, and she is an absolutely amazing person. I love her, oh so much! 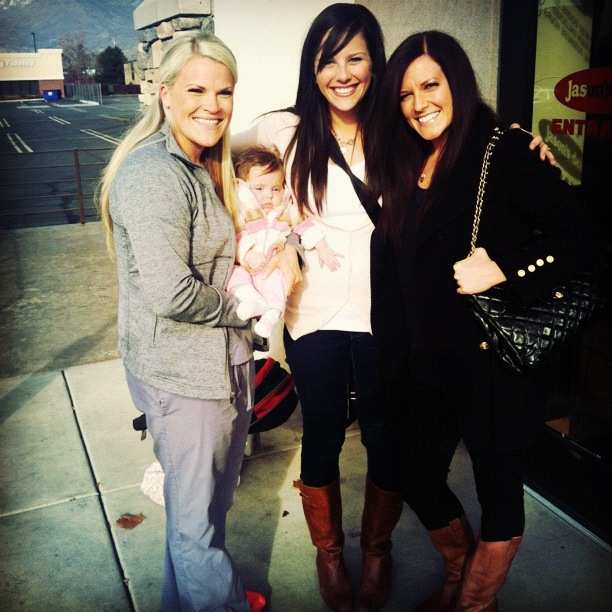 Janae then introduced me to Ashley, and we became instant best buds as well. Ashley is an unreal marathoner turned cross-fitter who is one of the most mentally tough people I've ever met. She is a machine! She is also extremely funny and so sweet. Janae, Ash and I used to have frequent lunch dates where we would talk about running, working out, food, etc. etc. etc. and then Janae thought it was ok to up and move?? AND have her cutest little baby about a million miles away? WTF? Aww what a sweet lunch date with friends!